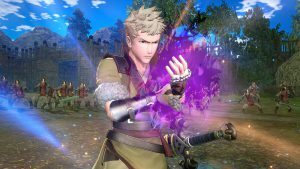 In case you missed it, the Awakening DLC Pack for Fire Emblem Warriors is actually scheduled for 29th March 2018, not 22nd March as reported by Famitsu. This information comes from the game’s Japanese official site, which updated today with additional details about the upcoming DLC pack, as well as the free Version 1.5.0 update. We’re guessing the Awakening DLC was originally planned for 22nd March and Famitsu forgot to change the date. 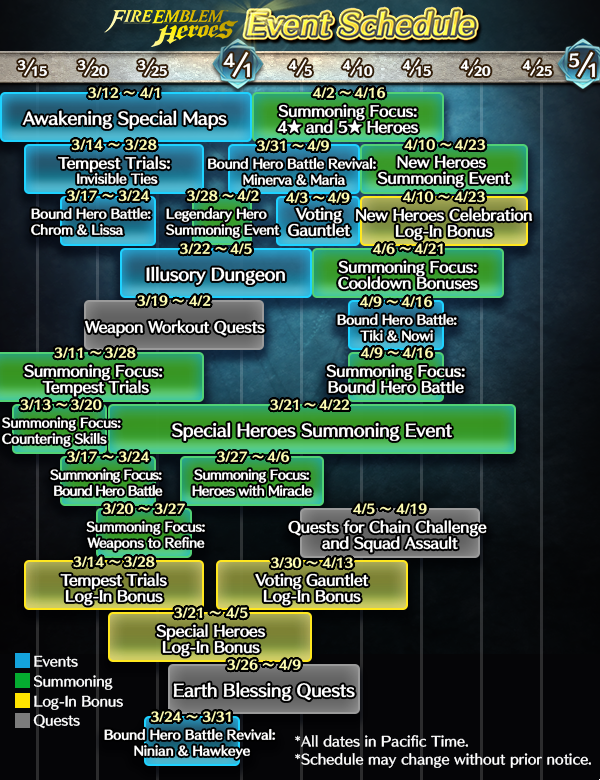 This would also explain why the Awakening maps for Heroes were scheduled for 12-13th March, before being taken off the calendar. Before continuing, we recommend reading our previous DLC article if you haven’t done so already. Update: There has been a mistake. Despite Famitsu saying the DLC releases tomorrow (22nd March), it will actually come out on 29th March 2018. Via this week’s Famitsu, we have details on the upcoming Fire Emblem Warriors Awakening DLC Pack, which finally has a release date: tomorrow. Thanks once again to Black Kite on Twitter for most of this info. Olivia is the star of the DLC this time, using a unique fighting style. This DLC pack is similar to the previous pack in that it features one new play style and two clones of existing movesets that didn’t have clones at first. It can probably be assumed that Olivia will share Azura’s refresh ability. However, how exactly she fights is kind of a mystery besides this one screen here; expect something graceful though. Also, her personal skill is Galeforce, which raises the Awakening and Warrior gauge each time a strong enemy is defeated. 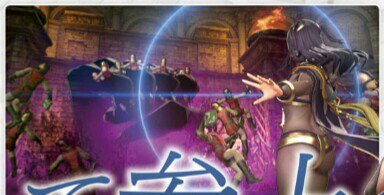 Tharja is next, and from what we know of her, she’s a Robin clone that I’m guessing specializes in the HP and Magic stats very heavily. She might even have good defense since Dark Mages in Awakening were pretty tanky. This Sunday, 2018’s last Fire Emblem Cipher Festival event took place in Japan. Although these events are mainly focused on the Cipher card game, sometimes other snippets of information are brought to light. According to event-goers on Twitter etc., a Fire Emblem Warriors character trailer for Tharja–one of the three new Awakening DLC characters–was shown on stage. 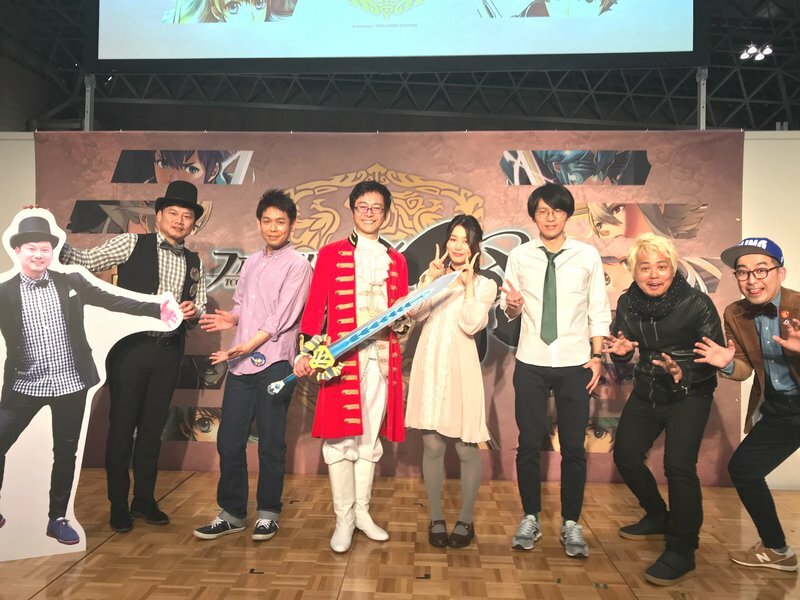 Earlier, the official Japanese Warriors Twitter teased a surprise at the event, which appears to be this. 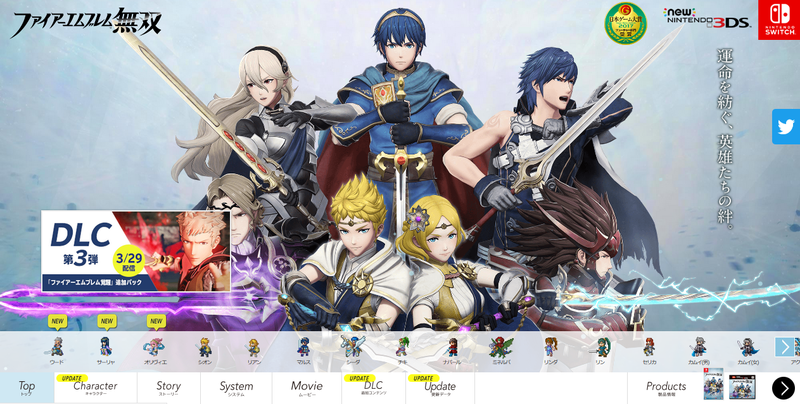 Apparently, Tharja is a Robin clone, which probably isn’t a huge surprise. One of the new History Maps is based on Chapter 9 of Awakening, where she’s recruited, which again anyone could’ve guessed. Finally, during her victory movie, she poses like her official figure. Hmm, how will she pull that one off? 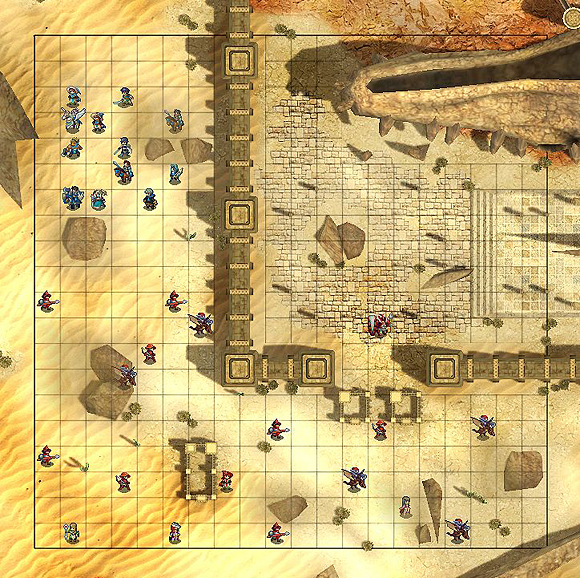 FE:W See the Shadow Dragon Characters in Action! I’ve done recorded videos, showing off the Shadow Dragon characters. While Navarre and Minerva share movesets with Lyn and Camilla respectively, they do have unique specials, animations, and of course voiced lines and statlines. 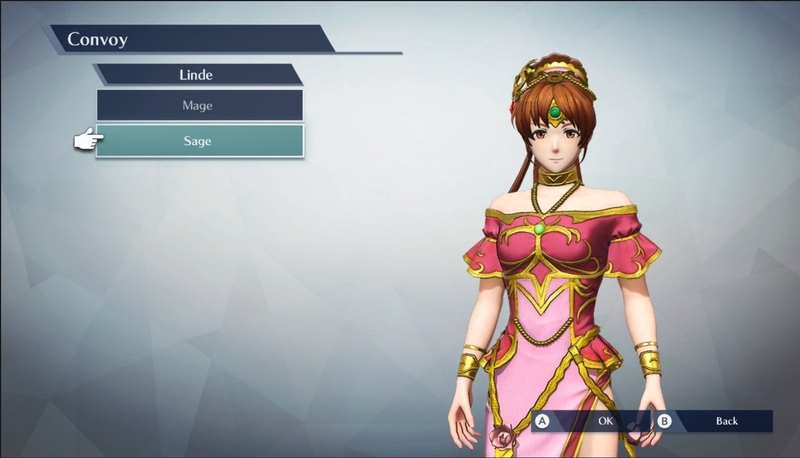 For starters, Linde is very much her own beast, serving as a bit of a faster mage than Robin with huge Magic & Luck. Luck has been established as one of if not the best stats in the entire game thanks to the skills of Luna and Lethality. (I’ve even shown the effectiveness of this) Linde also has huge range and relentless attacks that don’t leave her nearly as open to attack as Robin can in some of his.